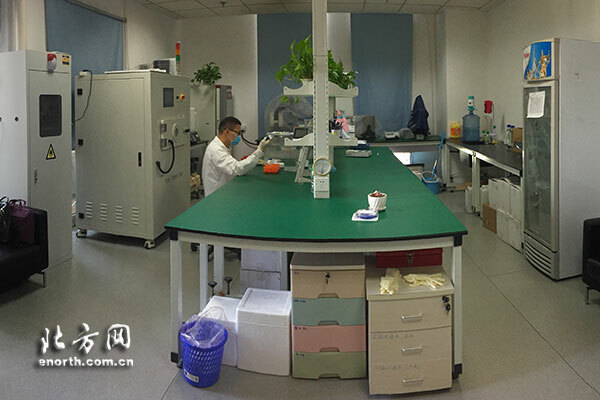 With six joint inspection products at a leading international level, and over ten new IFD (invasive fungal diseases) products Dynamiker Biotechnology (Tianjin) Co., Ltd., located at the Sino-Singapore Tianjin Eco-city in Tianjin Binhai New Area, has shown strong competitiveness in the global market in the four years since its foundation. As a high-tech enterprise integrating R&D, production and sales, Dynamiker focuses on developing early, rapid and innovative in vitro diagnostics for IFD. The R&D team of Dynamiker is composed of domestic and overseas experts specialized in microbiology, immunology, molecular biology and clinical chemistry. The company not only has a post-doctoral research center and an academician expert workstation, but also cooperates with Tsinghua University and Nankai University to carry out talent research and training projects. "Technology is power", said Dynamiker founder Zhou Zeqi, who now serves as the CTO of the R&D team. Zhou has a Ph.D. from Ohio University and has done Postdoctoral training at Harvard Medical School. He is a pioneering talent in the field of biological medicine. It is through gathering high-end talents that enterprises obtain the core technology necessary to break international monopolies. 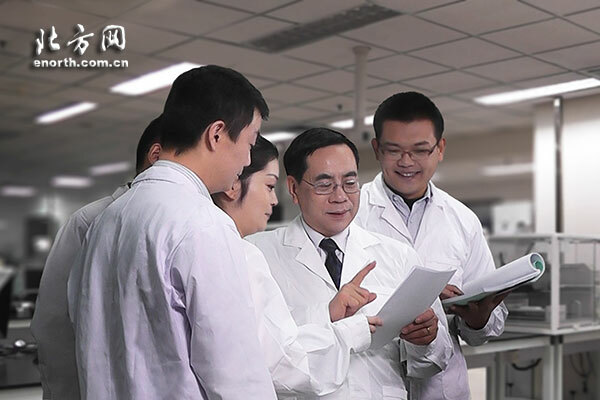 Based on this belief, Zhou chose to locate his R&D team in the Tianjin International Joint Academy of Biomedicine. "We share the national, and even world-class laboratories with the academy," said Zhou, "It is vital to have a newly developed product with certificated authority." Huang Yalou, secretary of the Party Committee of the Tianjin International Joint Academy of Biomedicine, said that since its establishment, the public service platform has attracted a large number of overseas Chinese and talented returnees. "So what we found in our work is that many of the overseas students who return to China to start a business were scholar-type talents abroad, and business management is their weakness," said Yuan Ying, director of the Tianjin Administration of Foreign Experts Affairs. In this regard, the Tianjin Administration of Foreign Experts Affairs organized special training camps and hired entrepreneurship mentors to help those overseas returnees manage their enterprises. At present, Tianjin has 17 city-level business parks for overseas students, and has introduced more than 800 enterprises for overseas students, producing nearly 1,000 international leading and domestic first-class innovative products. It also has 17 enterprises with a value of over 100 million yuan ($15 million), which provide new impetus for the city's rapid economic and social development. "In the next step, we will further explore the different needs of overseas students in innovation and entrepreneurship and strive to precisely implement measures - one enterprise, one policy - to help enterprises solve the difficulties and problems encountered in the development process," said Yuan.